Superb Grilled Ham and Cheese Sandwich! 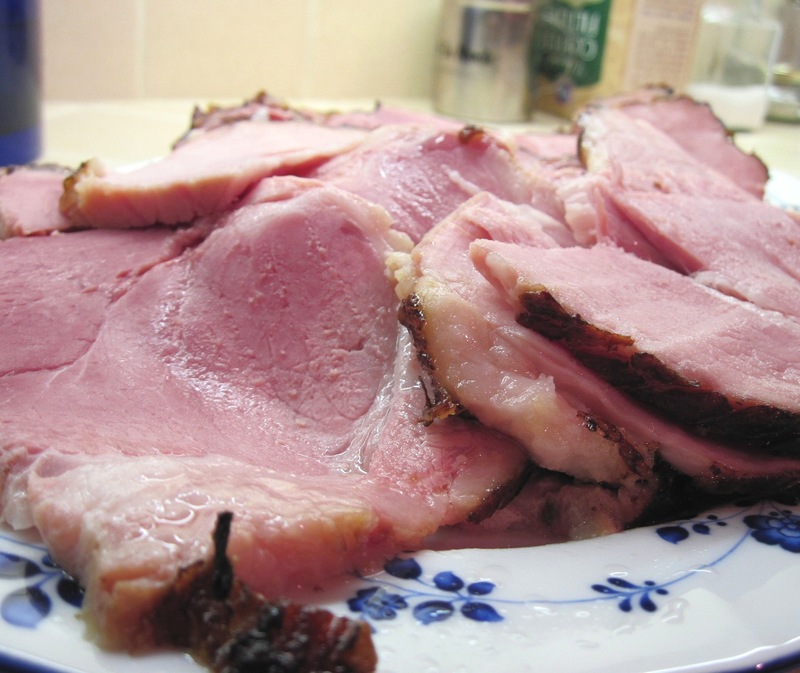 Do you have leftover holiday ham in your refrigerator? 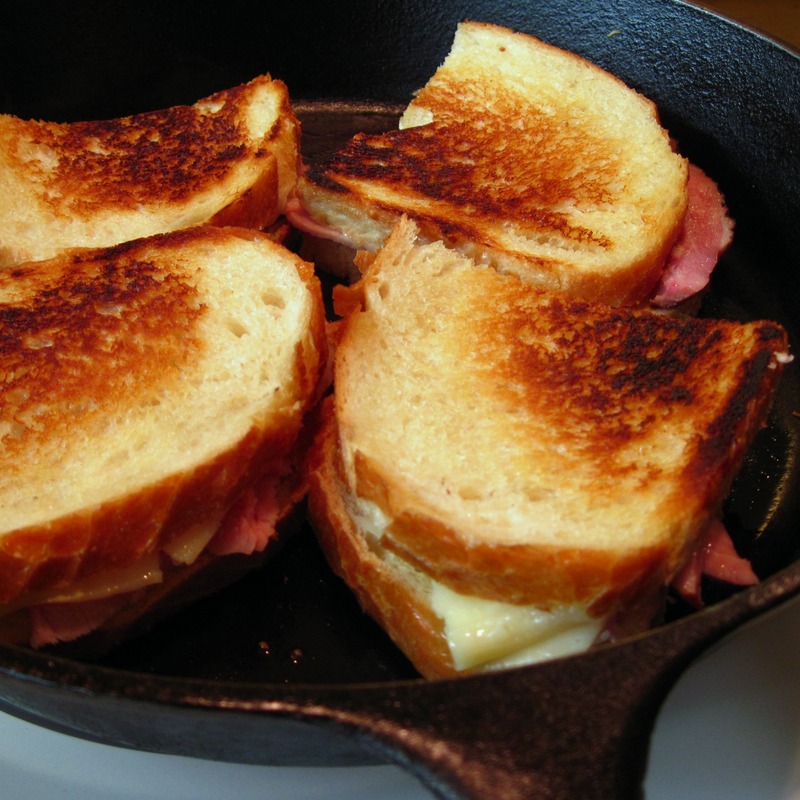 How about using some of it for a superb Grilled Ham and Cheese Sandwich? I hesitated to share this sandwich with you. Doesn’t everyone know how to make a Grilled Ham and Cheese Sandwich? 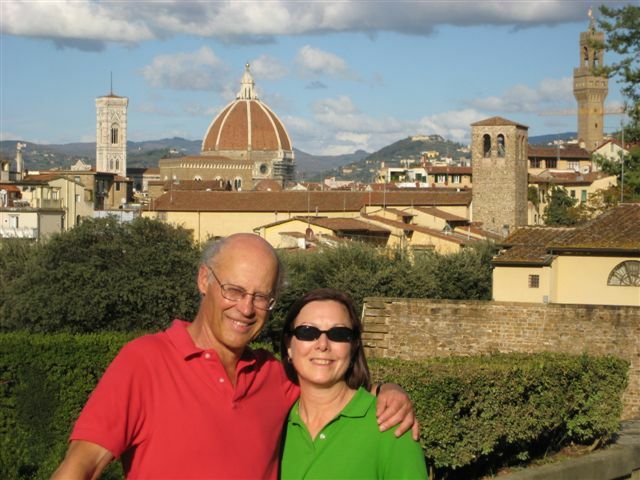 But this one was the perfect blend of flavors – truly fabulous! And I thought….maybe you haven’t thought of making a Grilled Ham and Cheese Sandwich lately, and you’re wondering what to do with leftover ham. So, here it is! ♥ Snake River Farms Kurobuta Ham – Simply. The. Best. If you live in the Seattle area, Metropolitan Market sells whole and half hams, as well as ham slices when you just want a small amount. 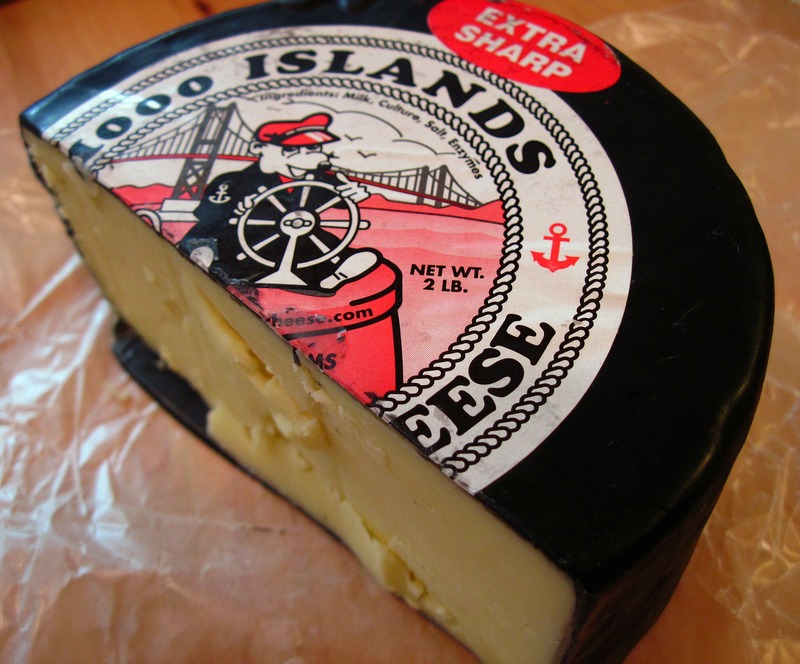 ♥ 1000 Islands River Rat Extra Sharp Cheddar Cheese. Our good friend Dennis, who owns Ontario Orchards in Oswego, NY, brought us some when he visited recently. It is fantastic! ♥ Grey Poupon Dijon Mustard – a classic which was perfect on this sandwich. ♥ Good sandwich bread. I used A la Francaise Sourdough. I love it for grilled sandwiches. ♥ And, of course, Butter for grilling! Those are the ingredients I used. I know there are other fine hams, cheeses and bread out there. The point is to use the best ingredients available to you for a Superb sandwich! 1. Heat a cast iron skillet or griddle over medium heat. 2. Spread Dijon mustard on slices of good sourdough bread. 3. Put slices of good ham and cheddar cheese on the sandwiches. 4. Put the top slice of bread on the sandwiches and then spread softened butter on the top. 5. Put the sandwiches, butter-side down, in the skillet. 6. While the first side is grilling, spread butter on the top side of the sandwiches. 7. Turn the sandwiches over with a spatula, and brown the second side. 8. Grill until both sides are nicely browned and the cheese is melted. What a great looking sandwich! Perfect idea for that leftover holiday ham! Thank you, Christina. I’m actually looking forward to having it again today! Thank goodness you posted it! Congrats on your Top 9! I hear this is your first?? CONGRATS! No matter how many times I have grilled cheese I still love seeing it on blogs. Sometimes the classics make the best posts. Yes, Dionne, it is my first time on the Top 9! 🙂 Thanks so much for your comment! Nothing beats a classic good sandwich. This one looks great! I adore grilled cheese sandwiches…especially with Dijon mustard. HEAVENLY. I’m about to make lunch, and I think I’m going to steer away from a chicken salad and make one of these instead! Thank you so much for sharing with me. I hope you are having a day of love and joy. Thank you so much for this recipe my parents couldnt find out what to make for dinner and we have alot of leftover ham. Im trying to convince them that they should make this. Hopefully they decide to. Thank You!